These three generous studios are each in separate rooms of a delightful cottage set in its own grounds in the village of Fulmer. Located just 10 minutes from the M40/M25 Junction and 5 minutes walk from Black Park woods behind Pinewood studios, you could be forgiven for imagining that you were deep in the countryside. Moments from woodland and with visits from pheasants and deer, the cottage is a rural idyll. There is ample parking space. 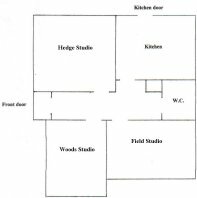 The three studios are each unique in size and aspect, but all are generously proportioned. 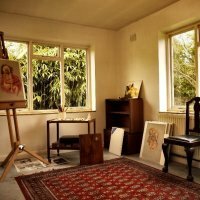 Whether you are painting or writing, simply close the door and gaze out of the window in complete quiet and contemplation. 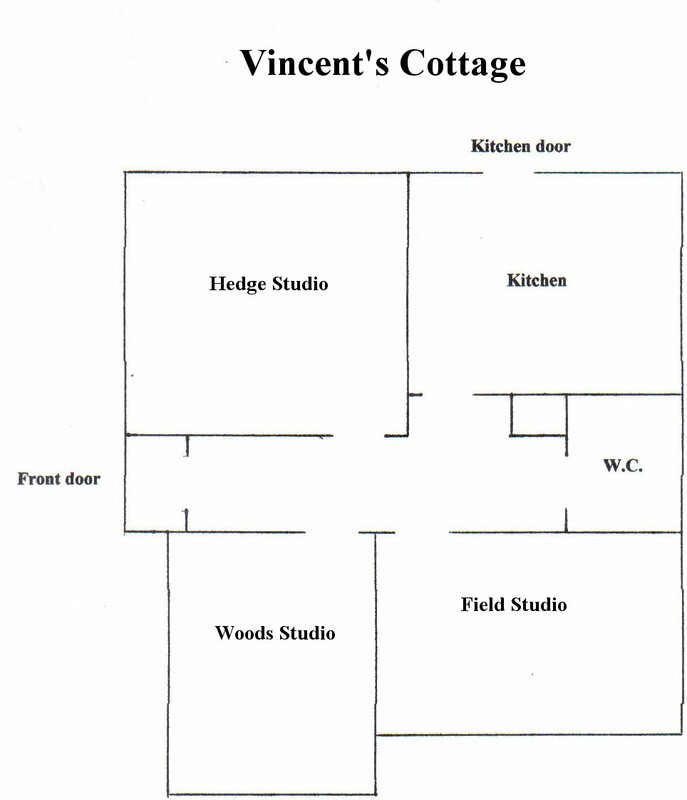 The cottage features hot and cold running water together with shared kitchen area and toilet.